"The Queen of paranormal romance." 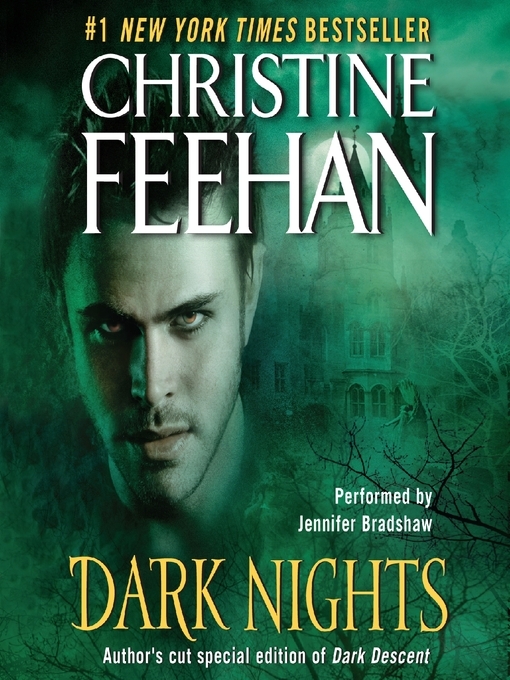 #1 New York Times bestselling author Christine Feehan is arguably paranormal romance's premier practitioner, critically acclaimed and widely beloved for her "Dark" novels, featuring the mesmerizing race of powerful, tormented immortals, the Carpathians. Dark Nights is a special gift to her many loyal fans: a newly expanded and reimagined version of her classic novella, Dark Descent—100 pages longer than the original—combined with her breathtaking and unforgettable short story, Dark Dream.